Super Blood Moon! End Times! Eeek! What Should Church Look Like After Freddie Gray? My slightly older sister Cathy had a birthday recently. She turned old. But she went sea kayaking on the weekend in Palos Verdes off the coast of Southern California. She emailed to say she will probably get seasick and throw up. And she is pretty sure she might get eaten by a shark. But she is not too old or stuck in her ways for adventure and kayaking she will go! Is that what your FAITH looks like? 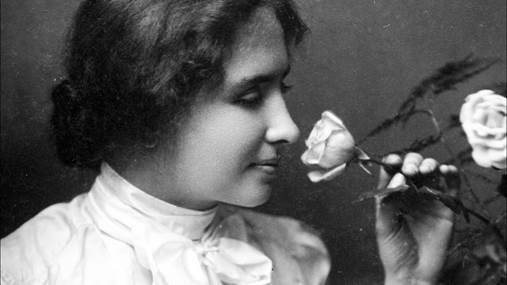 That’s a quote from Helen Keller, a woman who pushed her way through life without the benefit of sight. She was a bold soul, who stepped forward in faith every day. And if you are following Jesus there are times when you will need to walk by faith, not by sight, as well. We don’t always have the benefit of seeing what will happen if we take another step. But step we must. When you get out of “stuck” and take a step, that’s being BOLD. The alternative is to wilt and wither, bend and blend, cautiously dying where we are right now. When the rut you’re in gets deep enough it becomes your grave. 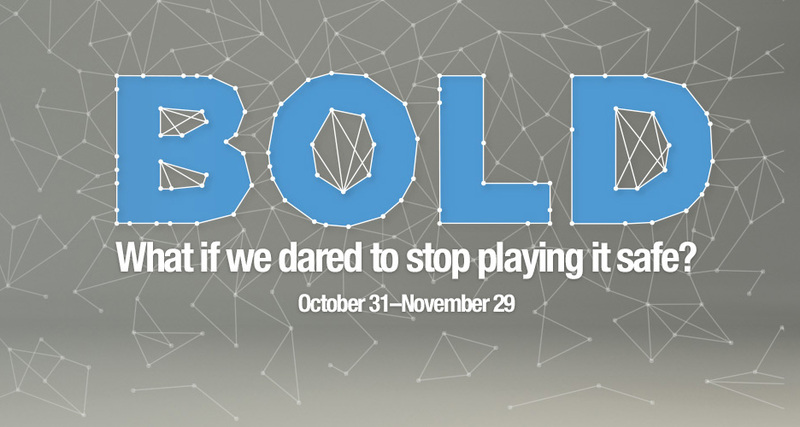 At Mountain we’re talking about living a life with God that is BOLD. BOLD LOVE notices people and is present with people in a way that turns heads, opens doors, and changes hearts. BOLD FAITH stands out and speaks up for God, clinging to Jesus even when it’s hard. BOLD COMMUNITY reaches across barriers and zones to love, honor, and care for those who are different, to show the world Jesus’ reconciling love in action. Don’t you want to live boldly? 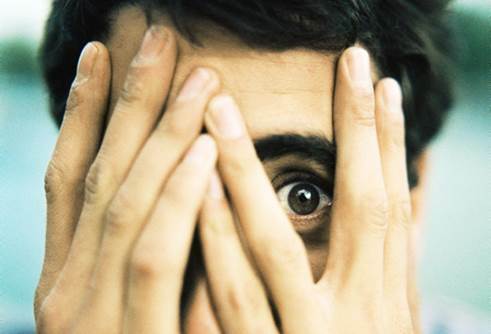 Fear keeps us from taking risks. Fear prevents us from saying YES and stepping forward in faith. Remember, courage isn’t the absence of fear. It’s moving ahead in spite of the fear. 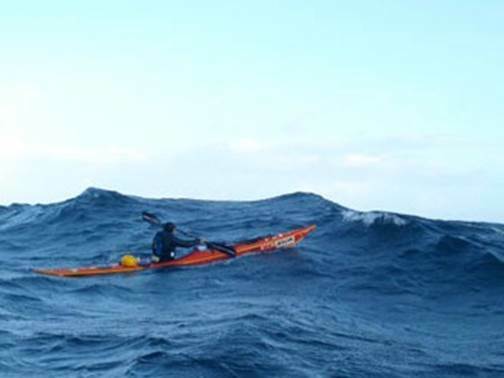 My sister went for her sea kayak ride. She lived through it and had an adventure.